GOBLET's 2015 Annual General Meeting (AGM) was held from 18-20 November at the President Hotel, Cape Town (ZA). The AGM brought together members and other experts in bioinformatics education and training (E&T), to discuss both the state of the art in bioinformatics E&T and GOBLET's future priorities and work-plan. 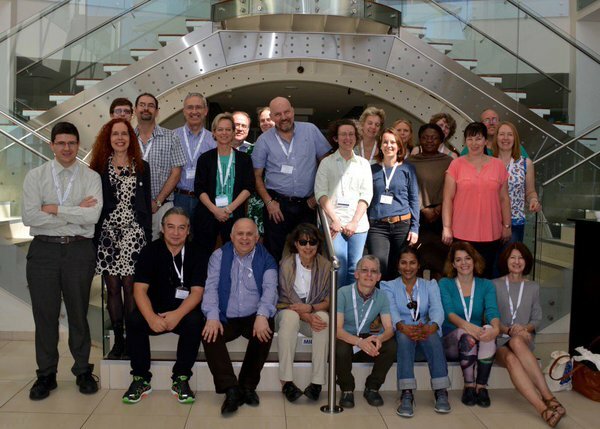 Alongside the AGM, a satellite workshop was held during 16-17 November at the University of Cape Town Medical School, including train-the-trainer and teaching best-practices sessions.
. Does GOBLET need a financial hire?
. What is best strategy to retain members?
. What is best strategy to solicit new members? - What is a GOBLET course, what is a GOBLET material? - What are the standards? - Discussion on what GOBLET platform should contain, audience, etc. Here is the full meeting report from the GOBLET AGM 2015.